Ready to cook. Consume after opening. 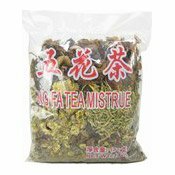 Ingredients: Bombax Flower, (Sulphite) (38%), Capillary Wormwood Herb (30%), Prunella (Sulphite) (15%), Chrysanthemum (9.5%), Honeysuckle (7.5%). 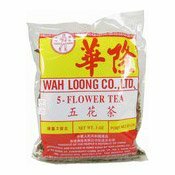 Simply enter your details below and we will send you an e-mail when “Five Flower Tea (正豐五花茶)” is back in stock!